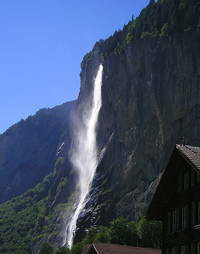 Lauterbrunnen is situated in one of the most impressive trough valleys of the Alps between gigantic rock faces and mountain peaks. 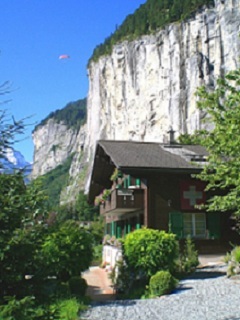 With 72 thundering waterfalls, secluded valleys, colorful alpine meadows and lonely mountain inns, the Lauterbrunnen Valley is one of the largest nature reserves in Switzerland. In the valley of waterfalls, 72 in number, the Staubach has inspired poets and composers. At night it is illuminated. 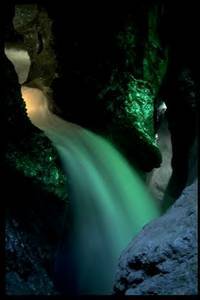 10 glacier waterfalls inside the mountain made accessible by tunnel-lift and illuminated. The Schmadribach is seen in Talhintergrund. Beneath a barren moraine he shoots down a cliff and forms a beautiful waterfall. Sunset on the Jungfrau (4158m) is always a special experience. 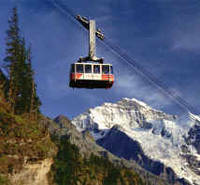 The Männlichen is accessible by cable car from Wengen and offers scenic views. Eie mountain chain in the background, Grindelwald and Lauterbrunnen on your feets, a special experience. The Schilthorn is one of the most popular destinations in Switzerland. It is known for its revolving restaurant at 3000 meters, the most spectacular 360 degree mountain panorama of the Alps and the James Bond film "On Her Majesty's Secret Service"
Schynige Platte, 1967 m, is considered the classic among alpine, an insider tip among the connoisseurs of mountains. Even the journey from Wilderswil with the nostalgic cogwheel train was an important time in the holiday program. Also worth seeing is the Alpine Garden, where 500 species of plants are nurtured in the wild and cultivated.